Orr’s Senate Bill 191 would require a conviction in order for seized property to be kept by law enforcement and makes the seizure part of the criminal proceedings, not a separate civil action. The property could also be forfeited in a plea agreement. The Alabama District Attorneys Association is opposed to the bill. “We believe the bill is flawed in many ways, including constitutionally,” association executive director Barry Matson said last week. He argues criminal proceedings should remain separate from civil asset seizure. Matson said DAs didn’t see SB191 until the day it was filed earlier this month. It cleared the Senate Judiciary Committee on a 12-0 vote the following day and was on the Senate floor for a vote the next. Matson said law enforcement asked that the vote be delayed. “The sheriffs, the chiefs, no one has been contacted about (the bill),” Matson said. Calls to the Alabama Sheriff’s Association and the Alabama Association of Chiefs of Police were not returned. Law enforcement has opposed previous civil asset forfeiture reforms in the State House, arguing it is an essential crime-fighting tool. “I’m trying to correct the narrative that police are terrible,” Matson said. Last year, the Alabama Appleseed Center for Law and Justice and the Southern Poverty Law Center examined 1,110 civil asset forfeiture cases in 14 counties from 2015. In 827 cases, a total of $2.2 million was awarded for law enforcement. One-fourth of the cases were against people never charged with a crime, according to Appleseed. They forfeited $670,000. Eighteen percent of cases where charges were filed involved simple possession of marijuana or paraphernalia. Not exactly kingpin-level drug activities, advocates for change say. Many cannot afford the attorney who could help them get it back, and attorneys’ fees would most likely stack up beyond $1,372, Crowder said. “We have the government allowing government agencies to directly profit, to the detriment of individual property owners,” said Shay Farley, policy counsel for Southern Poverty Law Center. Farley said law enforcement agencies are underfunded. Matson disputes the report and said some of the cases cited involved defendants who police “flipped” to go after larger criminals. “If they do that, we don’t charge him, but we don’t give him his money back because it’s drug money,” Matson said. He also said he’s studied the real-life examples cited by advocates as people who have lost their belongings without convictions. He questions their innocence and said the seizures were justified. Orr’s bill also requires the Alabama Attorney General to create a searchable public database that includes: The name of an agency that seized property; the type of property seized, alleged criminal offense, the outcome of the defendant’s criminal case and where the seized property or money is distributed. The attorney general’s office did not return a request for comment. 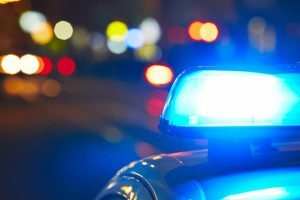 Earlier this year, the Alabama District Attorneys Association and others announced the creation of a voluntary database where law enforcement can give details on property seizures. The database is not public, but a report will be released at the end of the year. Eleven states—California, Connecticut, Iowa, Minnesota, Missouri, Montana, Nevada, New Hampshire, Ohio, Oregon and Vermont—require a criminal conviction to engage in some or all forfeiture proceedings, according to the National Conference of State Legislatures. California, Iowa and Ohio exclude property valued under a certain amount from the criminal conviction requirement. North Carolina, New Mexico and Nebraska have abolished civil forfeiture entirely. The Arkansas Legislature voted last month to end the practice. Civil asset seizures gained renewed interest this year when in February the U.S. Supreme Court ruled that law enforcement violated the constitutional prohibition on excessive fines when they seized a Land Rover from an Indiana man who pleaded guilty to selling $225 worth of heroin to undercover officers. Besides Alabama Appleseed and the Southern Poverty Law Center, Alabama’s chapter of the National Federation of Independent Business (NFIB) is advocating for it. NFIB state director Rosemary Elebash said civil asset forfeiture reform is a priority issue for the organization this year and lawmakers were sent a letter saying so. “Our members were surprised that assets could be seized without a conviction, sometimes even without an indictment,” Elebash said. The bill has seven co-sponsors, including Sens. Rodger Smitherman and Linda Coleman-Madison, both Birmingham Democrats, Sen. Cam Ward, R-Alabaster, Sen. Tom Butler, R-Huntsville, and Sen. Jim McClendon, R-Springville. “Everyone supports law enforcement, but the current day practice has exceeded the contemplated boundaries when the law was passed years ago to allow civil asset forfeiture,” Orr said.